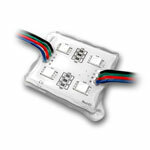 A small sized water-resistant DMX Driver which allows you to connect your RGB LED Lights, LED Lighting, LED Ribbon strips or RGB LED Modules to a DMX-512 Lighting controller. 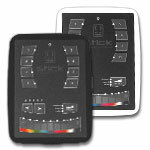 Then by the use of PWM and DMX, you can change the color and dimming of your RGB LED lights. This product is not submersible. 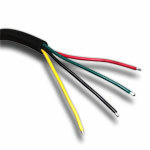 For 12 or 24VDC systems only. 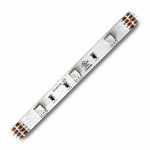 4A per channel with a maximum power of 144W at 12VDC or 288W at 24VDC. 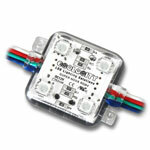 For use with 4 pin, 3 loop, common anode style RGB LED and LED Lighting. 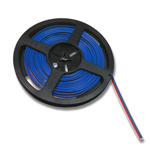 All wires are bare and need to be connected using a connector or wire nuts. NOTE: To change the DMX address of these modules you need to buy the DMX Editor Controller or have us set the address for each module you buy. Each DMX Driver uses 3 DMX addresses.